Make July 4th, America's Independence Day fun with these easy food ideas. Toast bread slices and spread butter or cream cheese over the top. 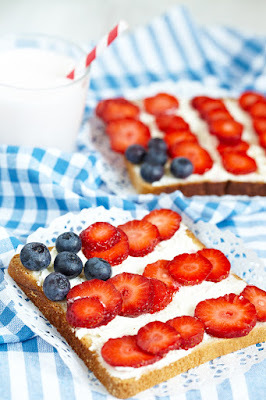 Create a flag design with blueberries and strawberry slices. Cut pineapple slices with mini star shaped cookie cutters. 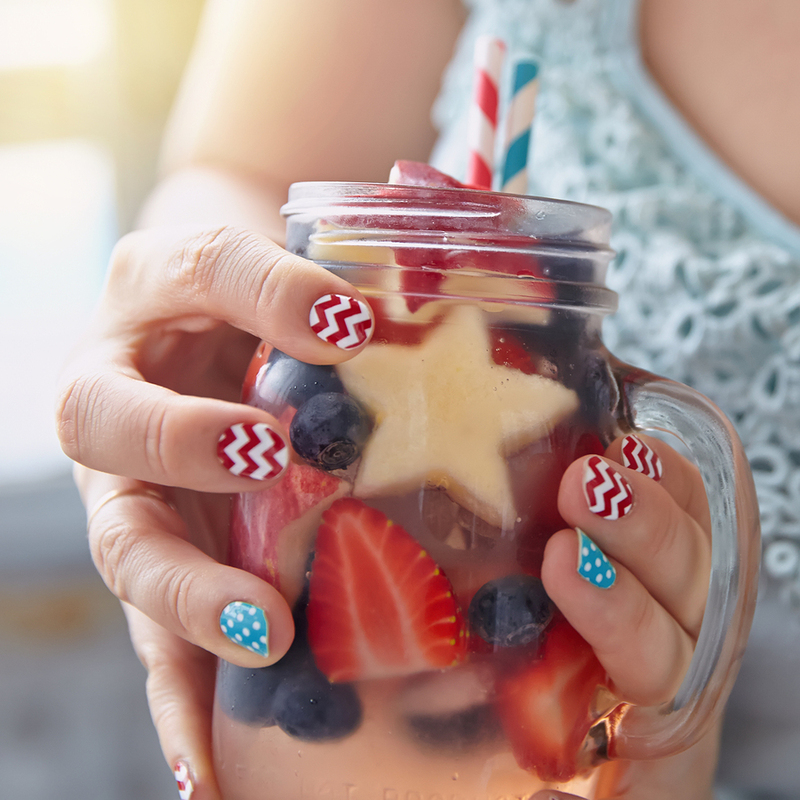 Add pineapple stars, blueberries and strawberries to a pitcher or glass of lemonade. Dip pretzel rods in melted white chocolate chips or almond bark. 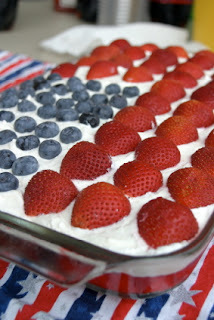 Decorate with red, white and blue sprinkles, colored candies or chopped cookies. Allow to harden before packing to tote. 15 Day Patriotic Challenge for the 4th of July for Kids! 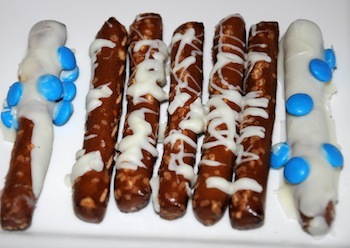 I’ve created a challenge for the 4th of July for kids. 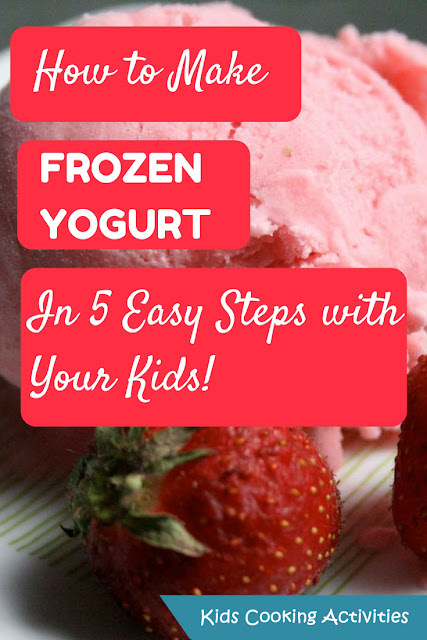 This is just a simple way to do something fun with your kids each day for a total of 15 days. When does this challenge start? Well, you can start it now, you can wait and start it exactly 15 days before the 4th of July or you can start it before one of the other patriotic holidays (Memorial Day, Flag Day, Inauguration Day, Labor Day… and so on). 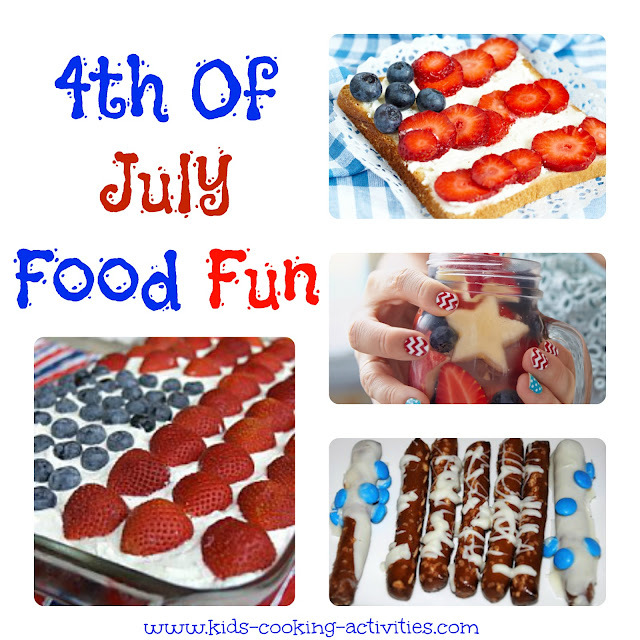 And maybe your 4th of July for kids is already packed to the brim with activities and you want to start this challenge after it passes by…. Pretty much start this challenge whenever you want and do it for 15 consecutive days. Educational – your children are actually going to learn something! 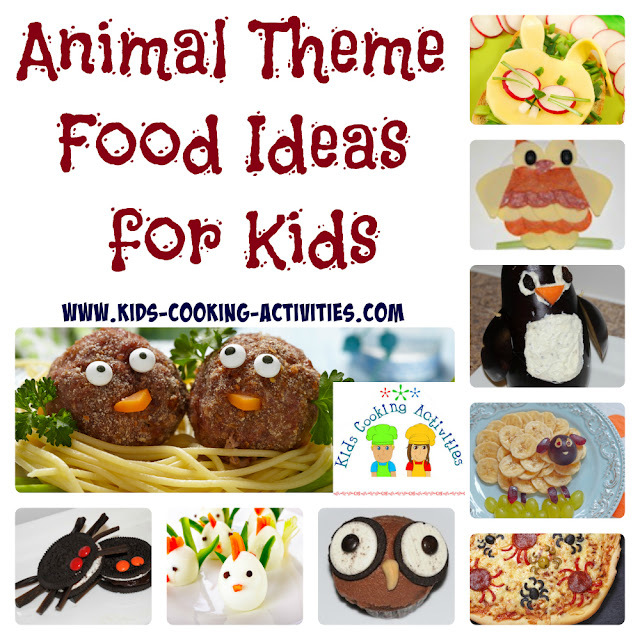 Fun – the children will be crafting, baking and decorating and you can all do this together. The Activities are Short in Duration – nothing is going to require too much time out of your day. 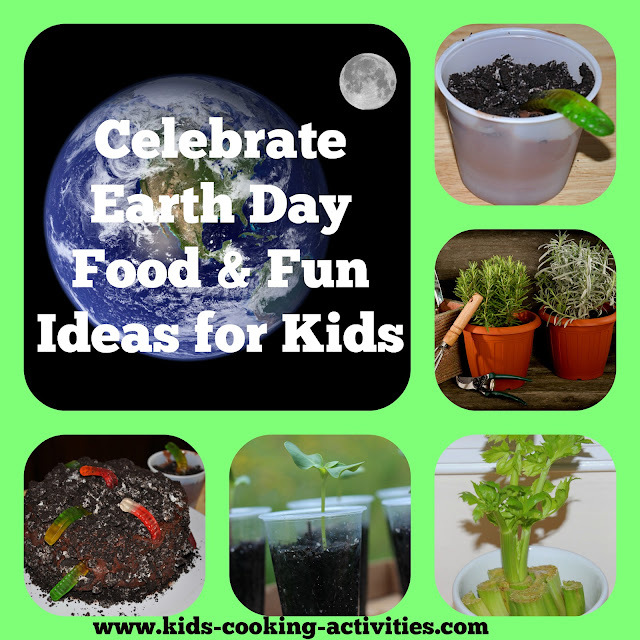 Once an activity is done or once you have shown your children how to put together a certain craft, you can probably steal some time for yourself and let your kids be on their own and if they have any questions they can of course go to you for advice or directions. 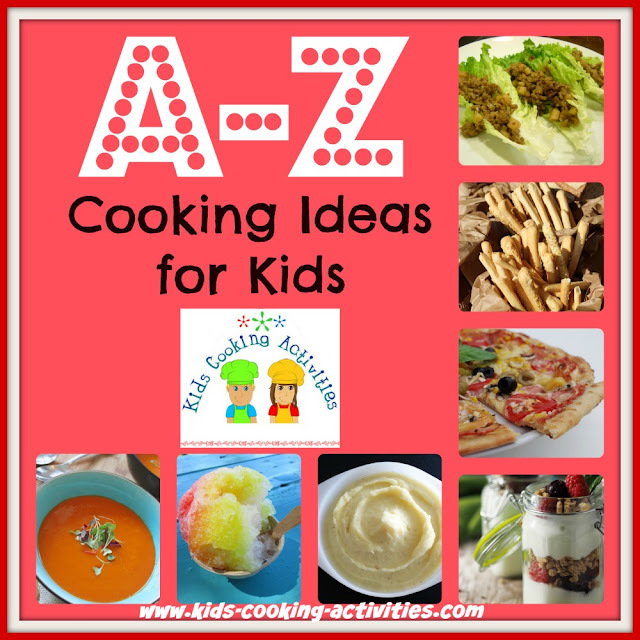 Creates a Family Bond or Close Friendships – getting your kids all together to work on a project, read a book, or cook in the kitchen makes for fun memories. Or, you can invite some of your children’s friends to occasionally join in some of the challenge activities and strengthen friendship bonds through the activities. 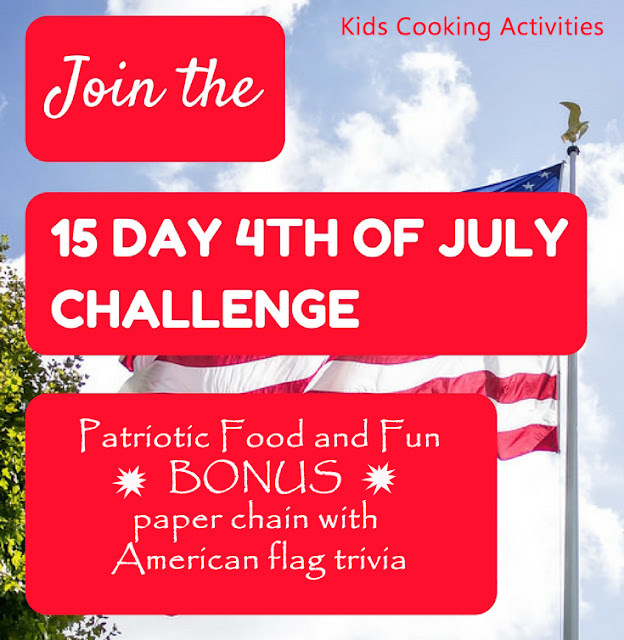 A Challenge Teaches Children how to Persevere and Finish a Project – it is so important for children to learn perseverance and this 4th of July for kids challenge is actually a fun way to learn this quality! 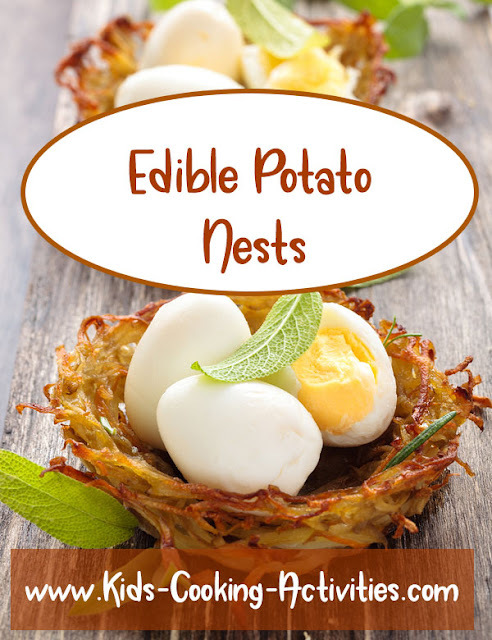 Pick up your Patriotic Food and Fun Ebook here!